Recently, something rather shocking occurred in my life. And the whole episode contains an important business lesson about “image rights”. First though, I need to quickly mention the Spice Girls, not because I fear they’ve lacked the oxygen of publicity for a while, but because they’re directly relevant to what happened to me. I was very intrigued. Print ads? I hadn’t appeared in any at that time I was aware of, so I clicked the link. 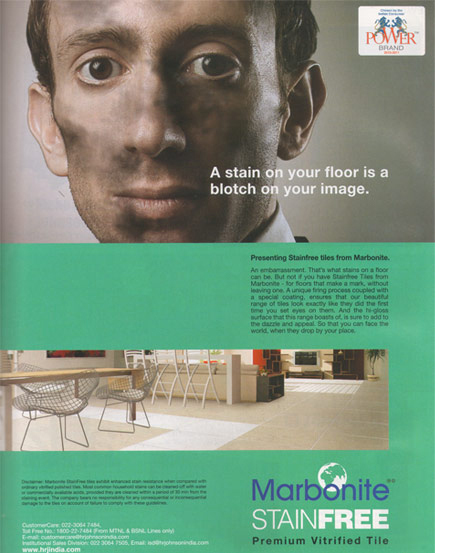 Up popped a page showing a full-page advert for floor tiling. Slap bang at the top of the advert was my face, staring back at me. But it was my face with a slightly shocking, difference. I was all blacked up, as if I’d been up a chimney (in my suit) or back from a commando mission.